Andrew holds a MB and BChir from Cambridge, an MA and DM from Oxford, a DSc. from Imperial College, and an MBA from London Business School. Andrew served as the Inaugural Viscount Royston Professor of Cardiology at the National Heart and Lung Institute in London, as Director of Cardiology of the Royal Brompton and Harefield NHS trust as Head of Clinical Cardiology at Imperial College, as Dean of Medicine at the University of Sydney, as Deputy Vice-Chancellor of Sydney, and as CEO of the Norwich Research Park. He is presently Academic Vice-President of Monash University, Australia and the University of Warwick, UK and Director of the Monash-Warwick Alliance. Andrew has published in excess of 1400 publications and has more than 52,000 career citations, and a personal H-index of 106. He has been Editor-in-Chief of the International Journal of Cardiology since 1999 and has received the Linacre Medal of the Royal College of Physicians and the inaugural Michael L Pollock award of the American Heart Association. He has been Chairman or Committee member of the following major Cardiovascular Trials: CHRISTMAS, CHARM, COPERNICUS, OXAM, OPTIMAAL, OVERTURE, REPLACE and SENIORS. Andrew also has more than 20 patents, and has two successful spin-out companies which have generated more than £30Million in investment. Andrew has more than 30 board years of experience as a director across the health and biotechnology, sectors (including Myotec, PsiOxus, Cardiodirect, Primary Heart Care, Lone Star Heart Inc, the Harley Street Group) and in the not-for-profit sector (including the George Institute, the Centenary Institute, ANZAC Institute of Medical Research, Sydney Cancer Centre Foundation, Colney Innovations Limited, and the Woolcock Institute of Medical Research). Robert Anderson MBChB BMedSc PhD FRACP is Chief Scientific Officer at ImmusanT Inc., Cambridge MA. He is the scientific founder, and inventor of the company’s technology, a peptide based therapeutic vaccine for celiac disease. Dr Anderson is a gastroenterologist with a focus on T cell immunotherapy for autoimmune disease. His undergraduate and doctoral studies were at Otago University in New Zealand, his specialist training was in Melbourne Australia, and he completed post-doctoral studies at Oxford University. He was a clinician scientist specialized in celiac disease and Laboratory Head at The Walter and Eliza Hall Institute in Melbourne before joining ImmusanT in 2011. Shlomo Ben-Haim, MD, DSc was a professor of Medicine, Physiology and Biophysics, with appointments both at Harvard and the Technion – Israel Institute of Technology. Dr. Ben-Haim also served as Chief Scientist of Johnson & Johnson’s Biosense-Webster. Dr. Ben-Haim has an education in the fields of Medicine, Biomedical Engineering, Nuclear Physics, Mathematics and Philosophy. Dr. Ben-Haim has authored more than 100 scientific publications and is the inventor of more than 500 patents. Dr. Ben-Haim is also a notable entrepreneur that co-founded companies and helped realize their potential to improve medical care globally. Some of Dr. Ben-Haim’s inventions became the standard of care and touch the lives of thousands of patients every day. Dr. Ben-Haim together with his partners merged 12 of the companies he has founded with several multinational companies. He continues to develop new and emerging technology companies dedicated to novel applications and products that address unmet market needs, including type II diabetes, obesity, cardiac imaging and stroke rehabilitation. In addition to medical device companies, Professor Shlomo Ben-Haim founded Goji – a company that has developed a novel energy delivery system. Professor Ben-Haim is also the founder of a philanthropic foundation dedicated to improving health and education in underserved communities. Volante Diagnostics, Inc. Each of these companies was founded by Mr. Bergheim. Prior to starting Fjord Ventures, Mr. Bergheim was General Partner of Domain Associates. In 1995, he joined Domain with the charter of forming and providing active management to new life sciences companies. While at Domain, Mr. Bergheim created the Company Creation Initiative which led to the formation of several companies including Chimeric Therapies, Inc.; VenPro; 3F Therapeutics (acquired by Medtronic); Orqis Medical; Vessix Vascular (acquired by Boston Scientific), Volcano Therapeutics (acquired by Phillips); and Glaukos Corporation (NASDAQ: GKOS). Prior to Domain, Mr. Bergheim spent 18 years in general management positions at Baxter Healthcare Corporation, as Corporate Group Vice President as well as President of Baxter’s Cardiovascular Group (now: Edwards LifeSciences). Previous Baxter positions included President of Immunotherapy Worldwide, President BioTech Europe, and President of Baxter in Germany and General Manager of the Nordic area. Dr. Daniel Burkhoff is Adjunct Associate Professor of Medicine at Columbia University, New York, NY and Adjunct Clinical Professor of Internal Medicine at the Ohio State University Medical Center, Columbus, OH. He is also VP Medical Science at HEARTWARE INTERNATIONAL, INC, Framingham, MA (www.heartware.com) having previously served as Medical Director of Circulite, Impulse Dynamics and Cheetah Medical. He has served also as Director of the Cardiovascular Research Foundation, Jack H. Skirball Center for Cardiovascular Research, Orangeburg, NY. Dan has a Bachelor of Science in Applied and Engineering Physics from Cornell, a PhD on Force-Interval Relations Studied in Isolated Canine Hearts from the Department of Biomedical Engineering at Johns Hopkins School Of Medicine and a Doctor of Medicine (Johns Hopkins). Annalisa Jenkins, M.B.B.S., M.R.C.P., has served as our president, chief executive officer and director on our board since September 2014. Prior to joining Dimension, Dr. Jenkins served as head of global research and development at Merck Serono Pharmaceuticals from 2013 to 2014, where she also served as executive vice president global development and medical from 2011 to 2013. Prior to this, Dr. Jenkins held several leadership roles at Bristol Myers-Squibb (BMS) from 1997 to 2011, most recently serving as senior vice president and head of global medical affairs. Earlier in her career, Dr. Jenkins was a medical officer in the British Royal Navy during the Gulf Conflict, achieving the rank of surgeon lieutenant commander. Dr. Jenkins is a member of the board of directors of Ardelyx, Inc., Biothera Pharmaceutical Inc., Viventia Bio, Inc., iOX Therapeutics Limited, and MedCity, and previously served as a board member of Prosensa Holding N.V. (acquired by BioMarin Pharmaceutical). She also is a committee member of the Science Board to the U.S. Food & Drug Administration, and a member of the European Union Commission’s Scientific Panel for Health. She also serves on the boards of Women in Bio and the Center for Talent Innovation (U.K.), is an executive committee member of Springboard Enterprises, and is on the Advisory Panel of the Healthcare Businesswomen’s Association. Dr. Jenkins graduated with a degree in medicine from St. Bartholomew’s Hospital in the University of London and subsequently trained in cardiovascular medicine in the U.K. National Health Service. Bonnie has served as the CEO of Respicardia since it was first incorporated as Cardiac Concepts in 2006. She held several corporate executive positions at Welch Allyn, Medtronic, and SPSS. Just prior to joining Respicardia, Bonnie served at Welch Allyn as Group Vice President, where she managed a number of businesses units and international sales and operations. When at Medtronic as Vice President and General Manager, Bonnie managed businesses that included Micro Interventional Systems and Heart Failure where the first Cardiac Resychronization Therapy using an implantable device was developed. Also at Medtronic, Bonnie led several divisions dedicated to developing the technical components of implantable devices including software, batteries and capacitors, and leads. Bonnie received her B.A. in mathematics from Mercyhurst College, her M.A. in mathematics from the University of Notre Dame, and her M.S. in computer science from the University of Minnesota. Dr. Jeremy M. Levin is the Chairman and CEO of Ovid Therapeutics, Inc. a private company developing novel medicines for orphan diseases of the brain. Previously he served as President and CEO of Teva Pharmaceutical Industries Ltd. (NYSE:TEVA), one of the worlds largest pharmaceutical companies. Prior to Teva he was a member of the executive committee of Bristol-Myers Squibb (NYSE:BMY). Prior to BMY, he was Global Head of Strategic Alliances at Novartis (NYSE: NVS). Dr. Levin has served as director and CEO of several public and private biotechnology companies. Dr. Levin serves on the Board of Biocon Ltd, (NSE: BIOCON ), and privately held, ZappRX. 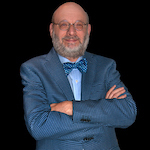 Dr. Levin is the recipient of the Kermode Prize, the Albert Einstein Award for Leadership in Life Sciences, the B’nai B’rith Award for Distinguished Achievement and the Officer's Cross of the Order of Merit of the Republic of Hungary. FierceBiotech voted Dr. Levin one of the 25 most influential people in the biopharmaceutical industry. Dr. Levin holds a BA Hons, First Class, MA and D.Phil from the University of Oxford and MB, BChir from the University of Cambridge. Nick Stephens is Executive Chairman of the RSA group, the world’s largest Talent Consultancy in Life Sciences and the leading provider of executive interims in the industry, with offices in the USA, UK, Belgium, Germany, Austria, Switzerland, Turkey, Singapore and China. Nick is a law graduate with broad commercial experience in various roles in metals trading, healthcare, medical devices, pharmaceuticals and the British National Health Service. Nick has 20+ years’ experience of building leadership teams for medical devices, pharmaceutical, biotech and academic/medical research institutes across the world as well as being an active investor in these sectors. He has been a Director of the RSA group since 1986 and joined the business full-time in 1995. He is also on the Board of an Investment company and Chair of a high-tech electronics business. Colin Sullivan BSc (Med) MB BS PhD FRACP FAA FTSE is Professor of Respiratory Medicine at the University of Sydney. Colin is an inventor known for his invention of the Continuous Positive Airway Pressure (CPAP) machine in June 1980, which lead to the formation of ResMed. Colin also played a key role in the commercial development of this company, and was Chairman of the Scientific Advisory Board. ResMed is one of only a few success stories in which Australian-invented technology has been turned into a major international enterprise with a market capitalisation of over US$3 billion (New York Stock Exchange) and with revenues exceeding US$500 million in 2006, and employing over 2300 people. Colin has been awarded the research medal of the Thoracic Society of Australia, the Sutherland Award of the Australian Academy of Technological Sciences and Engineering, the Distinguished Achievement Award of the Australasian Sleep Association, and the ATSE Clunies Ross Award for innovation. Leslie J. Williams, BS, MBA, is a serial entrepreneur with more than 25 years of industry experience and venture capital, and serves on various Boards. Ms. Williams is President and CEO of ImmusanT which she founded in 2010. ImmusanT is harnessing new discoveries in immunology and translating that to develop diagnostics and treatments in patients with autoimmune disease. The company is now a global leader in developing a disease modifying treatment for celiac disease which will ultimately enable patients to improve their quality of life and enjoy a normal diet. Williams holds an MBA from Washington University, John Olin School of Business, and a B.S. degree with honors from the University of Iowa. Professor John Zalcberg was the Director, Division of Cancer Medicine, at the Peter MacCallum Cancer Centre in Melbourne, Australia for 17 years prior to recently taking up the position of Head, Cancer Research Program in the School of Public Health and Preventative Medicine at Monash University. After earning a Bachelor of Medicine and Bachelor of Surgery from the University of Melbourne and a PhD in cancer immunology, he served as Director of Medical Oncology at the Heidelberg Repatriation Hospital and as Director of Cancer Services at the Austin and Repatriation Medical Centre. A founder of the Lorne Cancer Conference and the Australasian Gastrointestinal Trials Group (AGITG), he is immediate past Chair of the Board of AGITG after serving in this role for over 15 years and a past Board Member of Cancer Trials Australia. He is the current Co-Chair of the Cancer Drugs Alliance, an organization which advocates for improved access to new cancer drugs for patients and also the Interim Chair of the Australian Clinical Trials Alliance. This organization is involved in advocating for embedding clinical research into routine clinical practice in order to improve the quality of health care delivery. A past Board Member of the NSW Cancer Institute, past President of the Clinical Oncological Society of Australia, and a past Member of the Consultative Council of the Victorian Cancer Agency, he has received a Medal of the Order of Australia Award (OAM), the 2011 Cancer Achievement Award from the Medical Oncology Group of Australia and the 2014 “Tom Reeve Award for Outstanding Contributions to Cancer Care” from the Clinical Oncology Society of Australia. Professor Zalcberg’s clinical research interests include gastrointestinal cancer and health care outcomes. He has published more than 230 articles in peer-reviewed journals. He was a Principal Investigator for the EORTC advanced GIST trial in Australia and remains active in numerous trials in gastrointestinal malignancies. He continues an active clinical practice in GI cancer.